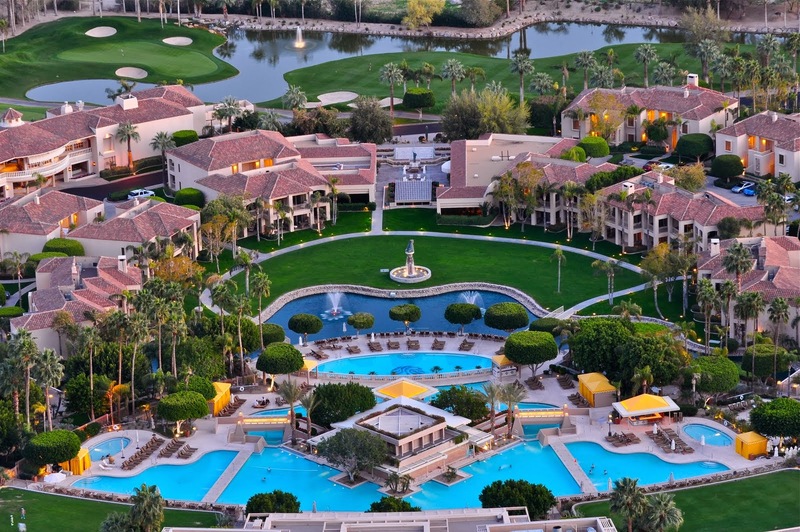 Capture the magic in Arizona's luxurious Scottsdale resort, The Phoenician, and when you book your travel with WhataHotel! enjoy Exclusive Complimentary Perks for an unbeatable deal. This premier resort destination grabs the attention of guests looking for a sunny vacation filled with outdoor activities, elegant accommodations, and top-notch meeting space. This AAA Five-Diamond resort presents visitors with a taste of the good life in a pristine setting ensuring an extraordinary experience. The Phoenician is one of the Best Hotels in Arizona, featuring 250 acres of gorgeous land situated at the base of Camelback Mountain. Your time here can be filled with exciting desert adventures or a restful snooze by the pool. This fabulous location has a little something for every type of traveler. On site guests can find one of America's best golf courses, a tempting spa, a tennis complex, a total of nine swimming pools and amazing venues for both business meetings as well as weddings. Also found here are impressive accommodations. The rooms and suites portray high-end linens, original artwork and loads of style while the large bathroom is breathtaking, allowing guests to relax in the Italian marble tub or shower. There is also a full view sliding glass door that in the rooms that opens up onto the private terrace outfitted with a charming table and chair set. When hunger strikes, The Phoenician has a number of ways to cater to your needs. This gorgeous resort offers up a delicious array of tempting dining options from the sophisticated Il Terrazzo to the laid back Oasis Pool Bar and Grill. 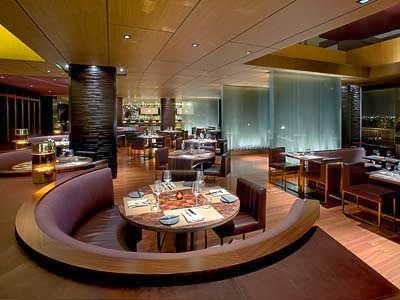 There is no doubt that the artisan food will please even the pickiest of palates.Gracious hospitality, unwavering service and extraordinary accommodations will guarantee your time at The Phoenician is incredible. 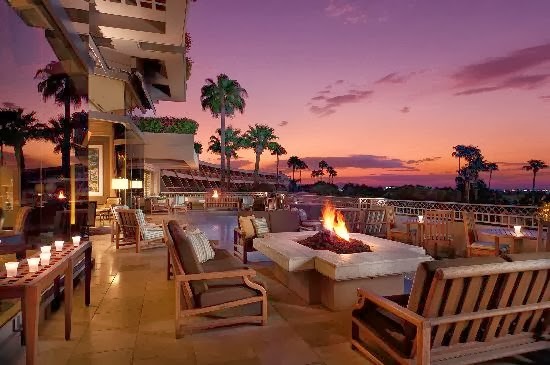 When booking your stay across WhataHotel at The Phoenician, A Luxury Collection Resort, guests can savor the chic resort setting as well as Exclusive Complimentary Perks for an unbelievable deal. These perks include available upgrades at time of check-in, a full a la carte breakfast for 2 daily, a $100 food and beverage credit, a seasonal fruit amenity and options for early check-in and late check-out. 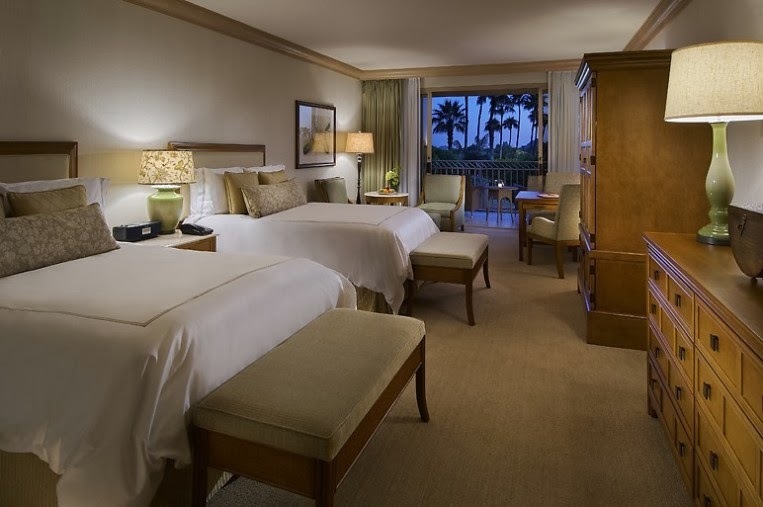 These wonderful benefits will provides guests with additional reasons to fall in love with this spectacular Scottsdale resort. Come to America's Southwest, where the sun is hot and the drinks are cool.